Widespread violence, including several incidents of arson, have been reported from western Madhya Pradesh, during the week-long agitation. 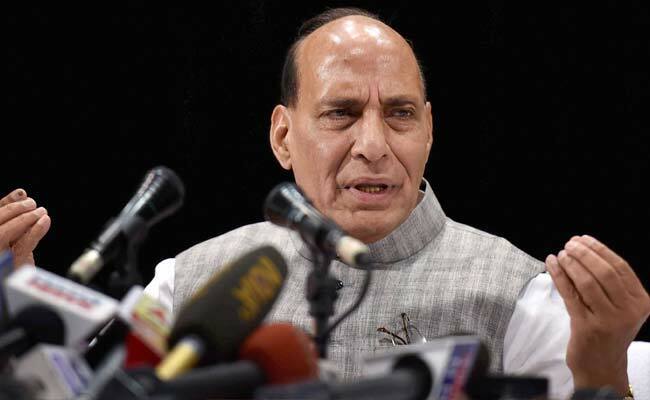 Mumbai: In the backdrop of violent farmer protests in Madhya Pradesh and death of five peasants in police firing, Union Home Minister Rajnath Singh today said some forces were instigating the agitation and the issue was under investigation. "I feel there is no need of security forces when it comes to farmers' protest. But as per the available information, there are some forces instigating the agitation (in MP). As the state government has ordered an enquiry into the matter, we should wait for its findings," he told reporters in Mumbai to a query on the police firing in Madhya Pradesh's Mandsaur district leading to the death of five farmers. Mr Singh was in the city to hold a dialogue on the completion of three years of the Narendra Modi government. Mandsaur especially has been on the boil since past two days after five farmers were killed in police firing there. Singh also said that "the NDA government would not do anything that will shatter the trust of farmers and the common man." "One thing must be clear to the people of this country that the BJP-led government at the Centre or state are completely sensitive towards farmer issues. My appeal to the farmers would be to come forward and talk to their respective chief ministers," he said. "I am a son of a farmer and I have served as Union agriculture minister as well. No prime minister in the past has assured of doubling the income of farmers by 2022, like Narendra Modi has," the minister added. Commenting on Congress vice president Rahul Gandhi joining the agitation, the Home Minister said, "The Congress should not forget that they were in power for so long but have not done enough to increase the farmers' income." "They are responsible for the farmers' plight in the country," he alleged.